I had a difficult time in trying to decide on what to write about this week. 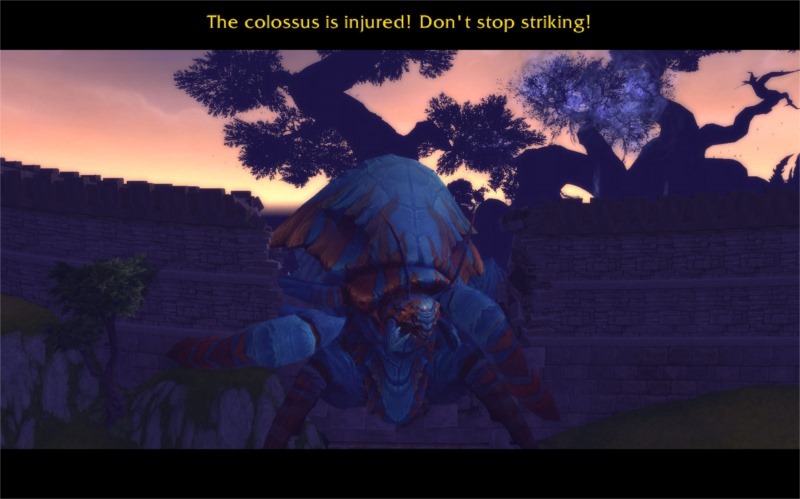 There’s so much news going on out there: Flex raiding, new mounts, new pets, new quests, new raids, a new trailer, and the new end goal of ousting Garrosh for good; however, I decided I want to take a step back and look at something that made the news a few weeks ago that I think deserves a little more attention and discussion. About 1 month ago I read a post over at The Grumpy Elf called, Will the Proving Grounds Help or Hurt? The post is well written and well thought out, and it’s well worth the read. And while I agree with all of the points TGE is making, I couldn’t help and ponder about the upcoming addition to the game that designed to help players practice how to play their class with the use of a new training area called The Proving Grounds. At first, I began reading The Grumpy Elf’s post with the idea that he would be discussing how newer and seasoned players would be taught how to play their class starting with basic rotations and eventually working their way towards mastering it; however, after reading the first few paragraphs I realized that derpy me misunderstood the meaning of the post’s title. The real point The Grumpy Elf is trying to convey is about how people might possibly use the new Proving Grounds area as a measuring stick, or as a way to judge another player on their abilities in-game. Like TGE, I never used a player’s gear score or in-game achievements to judge anyone, and I can honestly admit, that I don’t plan to use the Proving Grounds as a measuring stick either. If you’re not in the beta or if you’re not aware of this new addition that is being added to WoW in the upcoming 5.4 patch then let me explain what the Proving Grounds are and what they’re suppose to do. 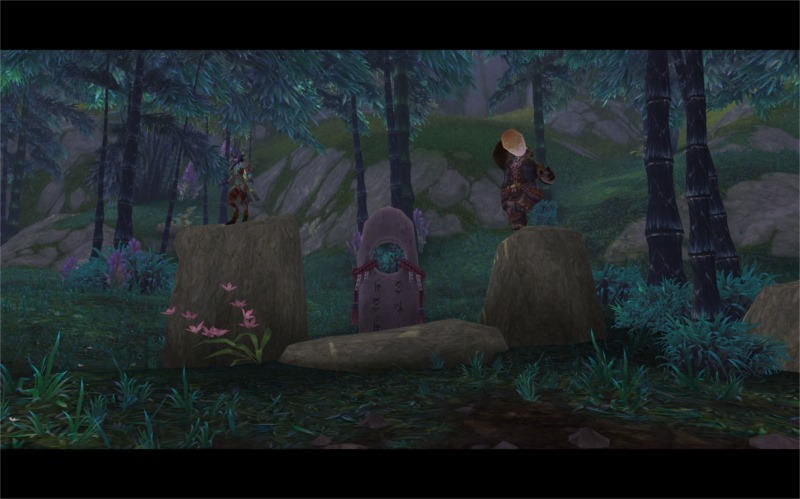 The premise of the Proving Grounds is that a player will enter a solo instance or solo scenario type of environment to help practice the role of their class. In its basic concept it’s designed to aid a person and to make them a better player. It’s a novel concept particularly for players who would like to try taking on the role of tanking or healing without the added pressure of being in a group setting. It’s a safe place to get your feet wet in learning your role and where making mistakes won’t get you kicked. Now whether the Proving Grounds will be able to accomplish that task, well, we’ll just have to wait and see. Easy to learn, difficult to master. I hear this phrase tossed around all the time about World of Warcraft and most of Blizzard’s games in general. It’s a catchy phrase and it’s got that “cool” quality factor hidden in the wording that gives it a bit of mystique and intrigue. Like I said, it’s a catchy phrase, but the problem I have with how the phrase is used in that it’s very ambiguous as to where one would learn to master their playing skills. When I first heard about the Proving Grounds I have to admit I really like the idea behind it because I was hoping that Blizzard would finally create a learning environment in the game that actually trained players how to play their class better. Sadly, some of the information I’ve been reading regarding the Proving Grounds on the PTR makes it sound like this new teaching system may fall short of my expectations. From what I can gather it sounds like a player is dropped off in a small arena to solo fight various waves of mobs and depending on the role they’ve chosen (heals, tank, or dps) it’s left up to the player to “practice” with little guidance or direction other than what Blizzard already offers in the game via the Spellbook and Core Abilities Tab. You have to agree that the Proving Grounds definitely sound better than just smacking a target dummy, but I can’t help but wonder how soon will it be before we’ll be seeing videos, blogs, and web magazines offering guides for how to complete the new Proving Ground encounters. One of my biggest pet-peeves about WoW is when you have to alt-tab out of the game to gather information about how to do something in-game from another website, and when it comes to playing your class role better I don’t know anyone that doesn’t seek advice from some other place on the internet instead of learning it from the game. Shouldn’t it be Blizzard’s role to help train a player to the fundamentals of their class? How many times have you seen or heard someone ask how to play a class better only to get directed to some place else? There’s a ton of sites out there that offer help in making you a better player, and I’m sure you’ve probably visited these sites yourself because who hasn’t heard of sites like Elitist Jerks? MMO Champion? Icy-Veins? or WoWInsider? I just find it odd and puzzling when I stop to consider why isn’t any of this player education coming from Blizzard? Don’t get me wrong, I’m thankful for all of the hard work being done at these websites and for all of the writers and people who help compile all of this great information ( /em mourns the loss of The Warcraft Hunters Union and the Fatboss guys), but I can’t help but think that Blizzard is missing a great opportunity to take on the role for teaching their players how to actually play rather than let others do it for them. When you stop and think about the training and learning tools that are currently available in the game, you’ll soon find there isn’t much of anything to teach a player how to really play. When I stopped and tried to think of what the game offered I could only count a few teaching tools and they are: Use X on Y quests, The Spellbook, the Core Abilities Tab, and Target Dummies. In regards to the type of training that has a player use X on Y quests I know there’s still a very low level quest for warlocks where you’re asked to use the Immolate spell a few times on a nearby target dummy and then you’re done, you’re rewarded, and then you just move on. I call it the “Use X on Y” quest. All this type of teaching quest does is acknowledge that you learned how to find the Immolate spell on your action bar and that you could click on it a few times while targeting a target dummy. It’s a simple enough quest to complete, but for a new player that is just starting out there’s a lot of small details that this quest doesn’t show or explain. As seasoned players we all know the difference between a DoT and a direct damage ability, and we understand the difference between a buff or a debuff including various other important terms we consider as common knowledge, but would a new player know these things? Would a new player who completed the Immolate spell quest understand what the debuff box on the target dummy’s character window showed and why it was important? The Immolate quest doesn’t explain that this spell should always be kept up on a target during battle and the only way a player might come find and understand this idea of keeping Immolate up on a target is if they read this concept on the Core Abilities Tab. Another problem with the learn Immolate quest is that unlike a regular foe or mob you’d face in battle, the target dummy doesn’t fight back or respond. Did you spam Immolate twice on that thing? Yep. Okay, take your loot and move along because there’s nothing else to teach you here. For seasoned players the game’s simple tasks and concepts like the “Use X on Y” quest and what a damage-over-time (DoT) spell is might be laughable and almost too elementary, but I’m trying to be open minded and imagine what learning the game would be like from the view of a new player. Other than a few of the “Use X on Y” quests does anyone ever recall a system in the game that told you what order you needed to toss out your spells and abilities to be the most optimal? Oh sure, we have the new Core Abilities tab but before Blizzard added this feature in MoP there was nothing to guide you to be a better player other than your spells tooltips, experimenting, or being taught from other players or visiting other websites. A couple of weeks ago, I thought about how new players learn to master their class after helping a few fledgling warlocks who were still a little bit confused on how to do better. All of them complained that they wished something was in the game that could have shown them the few tips I merely pointed out. Where did I learn these tips? Well, as much as I’d like to think I’m clever, I’m not. I learned these tips like most players by reading as much as I can about our class from other sites. So while Blizzard’s implementation of the Core Abilities Tab is a start in the right direction I still believe it falls quite short of actually being helpful. The main problem with the Core Abilities Tab is that it’s too basic to offer any true value other than maybe being useful for attacking a daily quest mob. When you consider it’s worth for a dungeon boss you’ll find it rather lacking. <Ability Name> Keep this on the target at all times. <Ability Name> Use this spell next, or when it lights up. <Ability Name> Use on target when it’s below 20% health. <Ability Name> Spam this when you have nothing else to do. 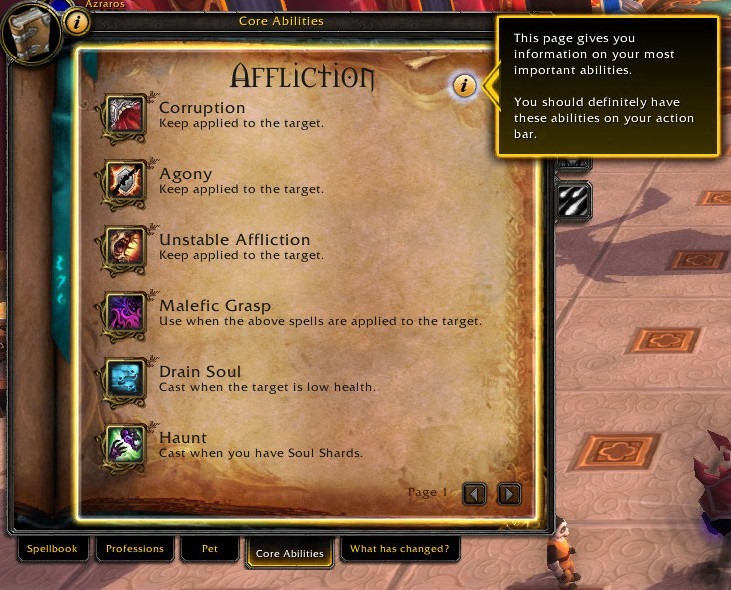 The picture above shows the Core Abilities tab for an Affliction warlock. I remember back a few months ago when I once had another player ask me why it shows Corruption as the first spell to cast because when an Affliction warlock applies their DoTs instantly using the Soulburn: Soul Swap mechanic, then the DoTs are actually applied in a different order. The Core Abilities infers that the order should be Corr > Agony > UA. When applied using the Soulburn method they actually go up on the target as Agony > Corr > UA. I know that both Corruption and Agony are instant casts and as long as those spells are both up and ticking away it’s probably not a big difference in dps as to which order they are applied, but for a newer player you can understand their confusion. If you don’t know what you don’t know, how does a player know they’re doing it right? When I was helping three new fledgling warlocks just a few weeks ago I noticed a big difference in how they learned. For two of the players who were running on an alt-toon all it took was for me to throw out a few key terms and explanations about game mechanics that they already understood to get them up and running quickly, but the third player who was completely new to the game it took a little more time and effort to get them feeling confident about the what they were doing, and to grasp the reasoning behind it. My intention is not to embarrass this newer player for not knowing or understanding important game mechanics, instead, my intention is to point out how Blizzard could be doing more to help educate their player base a little bit better. The problem the newer player was having was despite having a decent ilvl they were still having trouble with lower geared warlocks out performing them on the dps meters. So I had this player meet me by the target dummies and I had them show me what they normally did on their rotation. Within the first minute of watching and having them explain to me what they were doing a couple of small things soon stuck out on where they could improve. Unbeknownst to this player they were using trinkets and the Dark Soul ability incorrectly. The concept of renewing “DoT snapshots” was never explained to them and this player believed that when you popped a trinket or a big cooldown ability like Dark Soul that your spells increased at a higher damage output automatically. I don’t blame this person for thinking that way, nor do I look down on them. None of the teaching tools in the game explain this concept so how could you blame this player for thinking this way? There’s so many different ways Blizzard could help teach people in game to play their class better, and I hope that if Blizzard is going to add a teaching aid (like the Proving Grounds) that they’d go all out and do it right. 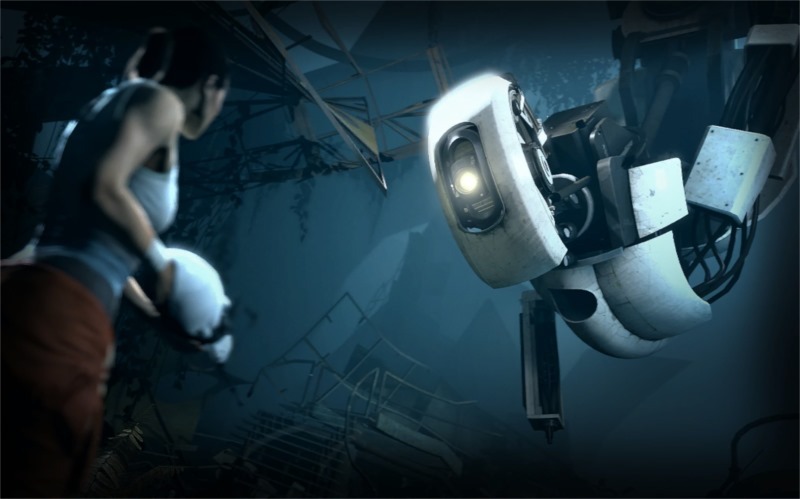 My youngest recently purchased the video game series Portal I and Portal II with allowance money he carefully saved up. I sat and watched my son load up the first game and within five minutes of entering the game’s world he had all of the basics down of what to do in a simple walk-through type of scenario. In about 15 minutes he was completely acclimated to the game’s world in moving, completing puzzles and scenarios, and using action buttons for his guns to pop in and out of the portals to manipulate objects and various things in the environment. The Portal Game designers were able to teach my son, and me, all of these complex concepts within the span of 15 minutes in a very entertaining way (Omg those robots are hilarious!). I went back and counted 18 variables we had learned and mastered in that quick span of time. Now I understand that while the Portal game’s abilities and commands are nothing close to the number of of spells a WoW character would have access to using it’s still a great example of how a simple teaching method could be added for better training of players. What if at every 10 levels you were told to go see your class trainer who walked you through simple concepts like what they show on the Core Abilities tab and how to use them in a real kind of setting? What if like the Proving Grounds players were placed in an instance or scenario as mobs appeared that you would battle as the trainer instructed you on what abilities you should use at the appropriate times? If you’ve completed the Valley of the Four Winds area you might remember being instructed over in Paoquan Hallow about focusing energy. The questline is a tongue-in-cheek reference towards The Karate Kid movie that moves you along a path in training you how to focus your energy, and throughout the expansion that same mechanic is used several times. The mechanic itself is very easy to do and even though its only a single button push it still makes me wish Blizzard would have added a quest line like that back in Cataclysm to help teach people to push the button correctly on the Ultraxion fight. I’m sure if they did it might have saved more than a few wipes. Here’s the three key things I’d like to see in the proving grounds that could be toggled on or off as a player becomes confident in their skills: A Graphical Display, Class Trainers, and the option to have a Spectator Mode. When it comes to a graphical display tool the easiest description I can offer is an older addon called Easy Destro. The Easy Destro addon became wildly popular back in WotLK when everyone started switching over to playing the Destruction spec because it began putting out the best numbers. All this particular addon did was incorporate a window to your screen that you could resize to be big or small, and could be moved anywhere for easy viewing. When you entered combat the Easy Destro addon would display the icon of the spell you needed to cast next to reach the optimal damage in your rotation. Once you cast the correct spell it would then instantly switch to the next spell you should be casting. The simplicity of the Easy Destro addon helped players execute the Destruction warlock rotation for single target fights only and a lot of warlocks used it until they grasped the flow of the rotation. When a player felt comfortable with what they were doing they just turned it off. The addon didn’t offer and insight into burst, CC, or AoE education. It made learning the rotation quick and painless and people loved it. 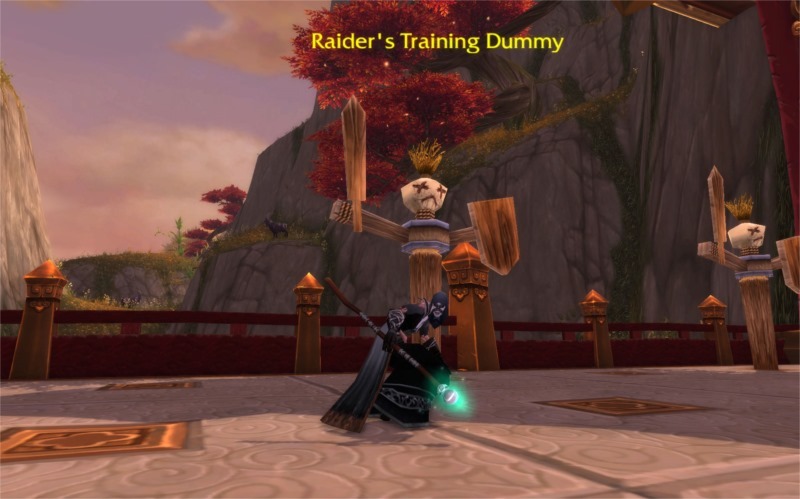 Now I’m sure by even suggesting that Blizzard add a teaching feature like the Easy Destro Addon type of learning tool to the Proving Grounds many of the more elitist types would argue that it’s dumbing down the player base and making the game way too easy. I hate to break the news to them but isn’t that what the Core Abilities tab is trying to do only falling short? Blizzard could even take the Easy Destro addon a step further and add features that Easy Destro was lacking such as training for burst, CC and AoE situations. 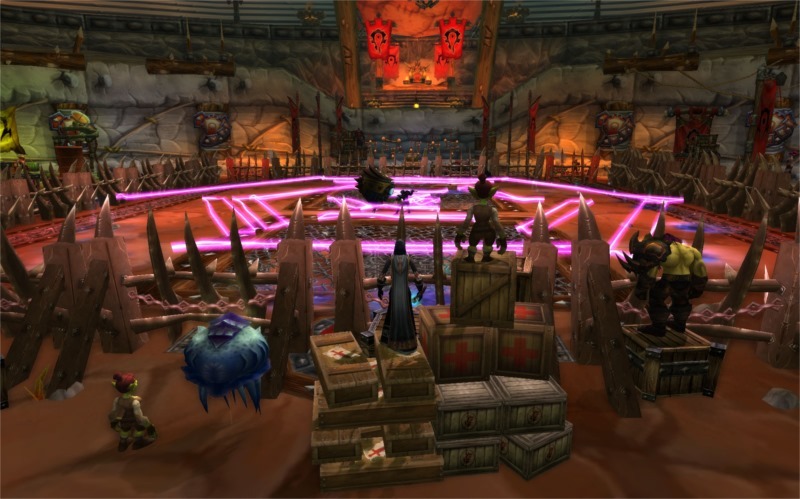 My second suggestion for improving the Proving Grounds would be for Blizz to dust off all of those old class trainers who find themselves neglected and put them back to work. You just know those old NPCs are bored to tear. All they do is sit waiting around to offer a few low level quests to leveling players every now and then, and you know they probably go giddy whenever a player drops by to ask for a quick respec. C’mon Blizzard give some respect back to the Class trainers! Believe me, everyone loves to have a good mentor. How many movies have been made about a teacher that inspires their students? From The Karate Kid, to Mr. Holland’s Opus, there’s tons of movies that fit that genre and for good reason. And to help make the Class Trainer NPCs truly shine all Blizzard would need to do is let them help the player by filling in the little details that the graphical display can’t show or explain. For a game that changes so often and so quickly, do you think it would be too difficult to add something like this? I don’t think so. By combining “use X on Y” type quests, offering a simple graphical display, and adding smaller details explained by a class trainer through the use of text I think it’s quite doable. Imagine walking into a small arena facing a single enemy as your class trainer sits off to the side waiting for you to begin. After accepting your training starter quest from them you are offered several choices as to what skills you’d like to work on. “Hail <PLAYER NAME>! So you’ve come for more training in mastering our class? A very wise choice indeed. Well, if you feel up to it…which skills would you like to sharpen? If the newer warlock who didn’t understand how Dark Soul and DoT snapshots worked it could have been easily explained from the trainer followed by a combination of the “Use X on Y” quest coupled with the Graphical Display and some text from a class trainer. To me the most important step Blizzard could do to help aid players is to allow the Proving Grounds to have a spectator mode. Have you ever tried to explain something to someone over the phone when the other person couldn’t see what you were seeing? With a spectator mode integrated into the Proving Grounds your friends and other experienced players could watch you and help offer advice if needed. Maybe you’re a tank and you need help learning how to use Tidy Plates? Maybe you’re a healer and need help learning a healing addon like Healbot or Vuhdo. Maybe you’re a dps who is just trying to get better at using your CC to the fullest? Adding a spectator mode would be a great tool to compliment all of those situations and more. When you stop and think about it, Blizzard already has a spectator mode set in place such as when players group into a party or raid to practice on the target dummies. 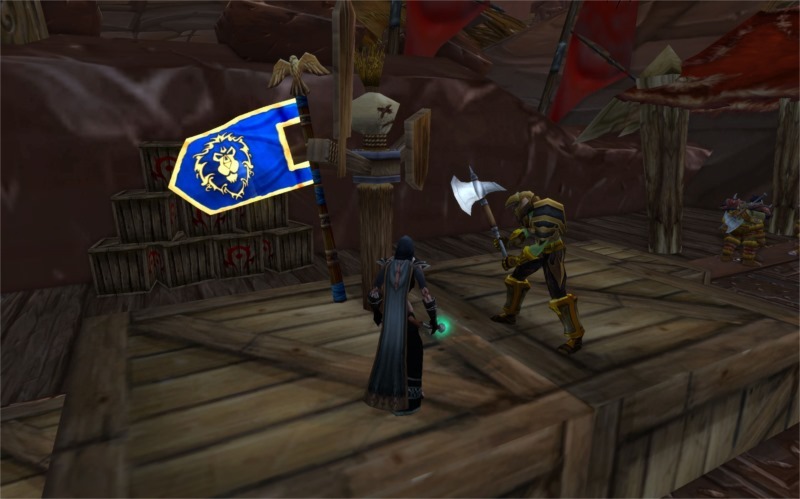 Another good example can be seen in the Brawler’s Guild as you can stand along the sides of the arena to watch other players compete. By adding a spectator mode to to the Proving Grounds groups can work at their own pace in a controlled environment so as not to interrupt or annoy other players, and it gives the group the opportunity not to be bothered or distracted by randomly re-spawning mobs. I guess When you get right down to it the type of Proving Grounds I’m envisioning is really another Brawler’s Guild, but with the added benefits of having a graphical display and a competent class trainer added to help offer advice and advanced tips. 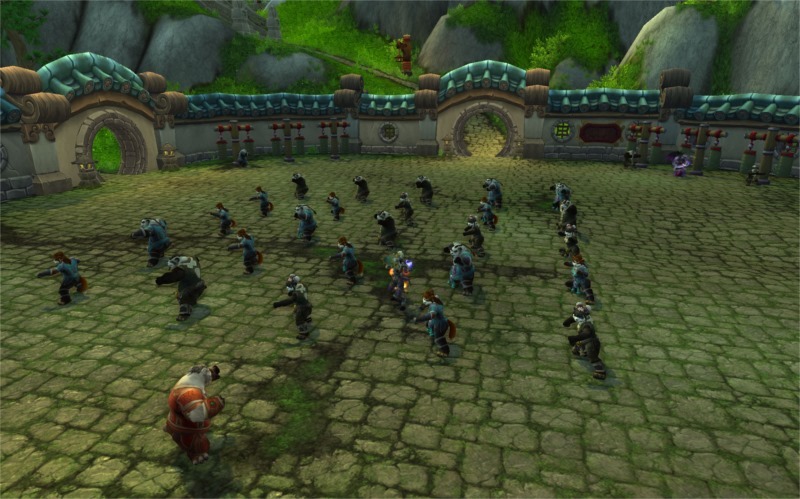 With all of the creative ideas I’ve watched Blizzard add into the game, I know that they could make a useful training tool like this a reality where a player would not only learn basic play, but could work towards advancing their skill to finally becoming master of their specialization and their class. For the past week I’ve been working on this post and imagine my surprise when as I was driving home tonight and listening to the newest Convert to Raid podcast (#109) and it just so happens that they were interviewing Ion Hazzikostas. It’s a good interview and I recommend you give it a listen when you can find the time. Without giving too much away I’ll just say that when the topic of the Proving Grounds is brought up I became sadly disappointed. From the explanations Ion gave it sounds like the Proving Grounds are just going to be single person scenario with no guidance or instruction. Ion even admitted that the Proving Grounds won’t be offering a spectator mode either. The reason? The designers didn’t want players to be embarrassed if others players saw them make mistakes. I have an easy fix for that problem for the Blizzard to consider. Why not just allow a spectator mode to occur only if players enter as a party or a group? If a player enters alone, then spectator mode is turned off. I think that is an easy fix don’t you? From Ion’s answers it really does sound like the Proving Grounds is just a single player instance with no particular guidance. I hope I’m wrong, but I’m thinking that if Blizzard wanted to take the easy route on creating the Proving Grounds then they should have just removed the Core Abilities Tab and instead added a “Core Link Tab” that listed other sites or videos that actually try to teach their players instead. When you click on any of the suggestions listed on the Core Link Tab then the game could automatically open a web browser and direct you to those sites. Adding something like that would probably be more helpful IMHO. And why not add a Core Link Tab because it’s what most people do anyway right? Since I’m getting back on track in RL, and I’m back on track with getting out my bi-monthly posts I want to let you know what you can expect from me. I still have a lot of great warlocks to highlight with my Unleashing the Warlock Within series, I’m also working on a special post about our demons, and I’m collecting what feels like gigabytes and gigabytes of good and bad Tmog pictures too. Have a great week and as always, thanks for reading! Always lots of good ideas. As a seasoned warlock, looking to go back to Affliction as a second spec, I like the idea of a practice ground against real monsters. I could never really get into using the easy destro addon. It wasn’t forgiving enough if I wanted to change up the rotation (like immolate dropped when I had to move). I love the idea of the class trainer taking on an actual role. “Elkagorasa!, why you wearing healer (+Spirit) gloves?” “I see you don’t have a gem/enchant in your helm, as Destro, you should get a +crit…” “Your spell hit is only 8%, you should have 15% if you don’t want to miss bosses. Try reforging some of that haste away.”. After he’s criticized my build, hit up that scenario and he would be there yelling at me about letting the DOT drop or hint that it’s about time to fire off Chaos Bolt. “FINISH HIM!” (cast Shadowburn). When done, show me a final report, like a world-of-logs report that shows me my DOT uptime, times successfully hitting the proc of my special ability (had 4 embers, but didn’t use any of them for 3 minutes). I like the idea of the shadowing concept, but could be really hard to implement. How about something like FRAPS built into the game so I could create in game videos easier? “Here’s my latest run through of ToT, watch what the boss does at 2:30”. Well I was thinking the class trainers would be a little more forgiving ;) Although, I do like the idea of showing a log kind of tool. I’m not sure if you mean on the shadowing if you could watch through the eyes of the other player or if you mean if you can view the fight like in the Brawler’s Guild. I think either would be nice to have for learning and teaching purposes. Be good my friend and thanks for stopping by as always! Instead of actual shadowing the player, i was thinking of building the video capture process into the game (for example, shift-printscreen to start video recording). Maybe I could record the LFR boss and the various mechanics and share that with another warlock player. Remove my GUI from the recording, and make the spell I am casting larger on the screen as a ‘training document’. Grab my mic from in game, so that I can dictate why/what I am doing. I see what you mean. I remember reading somewhere that one of the reasons Blizz hasn’t allowed something like that or a remote style viewing of a dungeon or raid has to do with the competition of progression with content. Another reason I’ve heard is that the designers didn’t want a viewing system in place to be used in combo with other communication tools such as Vent or Mumbles. A good example would be a raid team trying to down a boss while others watched and instructed them for better positioning. Personally, I don’t see how adding it to an education style situation like The Proving Grounds could hurt. There are some addons that do a good job of teaching rotation. Ovale has priorities for most specs of most classes. I used a DK rotation addon for while when I was leveling my dk back in the day. Still, having to know that there are addons and how to install and maintain them isn’t ideal. People are getting hung up on the word simplistic, they do not want to play “WoW101.” Which alot that Blizz has implemented can be seen in that light. Wasn’t that one of the drawbacks to MoP, Pandas with bouncy? (Gummi Bears!) The loss of skill trees, etc etc etc. It’s not vanilla, that is for sure. Which I do agree with, they have “dumbed” it down, in the spirit of accessibility. I was totally stoked to see proving grounds originally, but it has been a huge disappointment and missed opportunity. I saw it as a tutorial to learn, a safe environment for players to improve, but all it has become is an action-oriented playerscore. “whats your highest pg rank” …. It is an ego boost, like brawler’s guild. Well at least in brawler’s guild u get to watch someone “mess up”, give them pointers, or rez them, buff them….watch them fail til they get it right. The answer shouldn’t be l2p, or visit http://www.wowinstructionmanual…. I truly do believe that they are trying to make the game more accessible….Which should be a great thing, but they are doing it all wrong. A little late to the party here but just haven’t had the time to keep up. I was really looking forward to the proving grounds. I have been interested in Tanking on my Warrior but never put much effort into it because of LFG fears. I was familiar with the process and would do things in tank spec/gear just to get used to how things worked. When I was finally able to go in I quickly completed Bronze mode and moved on to Sliver. After several attempts at Silver I can consistently get to 7 of 8 but can’t seem to beat it. This is fine but the frustrating part is I am not sure why. Am I not picking things up fast enough?, interrupts?, not enough damage? Maybe the intention is to really make people think and that’s fine but a little guidance would be helpful. I should probably try it on a class I know maybe that would help. I also share your opinion that to much time out of game is spent looking things up on the internet. I would prefer to play not do a research project. get rid of them, they are pointless though many MORON`s believe they are some kind of skill/leveller to raids etc,hence why I said MORONS . With over a million leaving this year alone, I think these are the catalyst to many going. as to Morons I will point out why they are pointless. then ran BRF with my guild, Now 665. as I said pointless. I know a s/priest and a lock quit wow because of this crap ,they got so far behind the rest of raid team ,they lost there place`s and quit when there subs ended. Thanks for the reply. For seasoned players such as yourself I will agree Proving Grounds are pretty pointless; however, for brand new players to jump into this game and to make any sense of it there is quite a large learning curve. I think if implemented correctly a tool like the Proving Grounds could be a great way to teach a person how to play their class. Sadly, like many things Blizzard has been doing lately they’ve got good intentions but fall horribly short of following through on those ideas. I think I understand what you mean about gaining an ilvl quickly on your alt. I will have to stick up for Blizz though on how they help people gear up to see the content. With as many players as they have it’s a fine line between handing out free gear and making people work to reach a prize to keep the current content relevant.